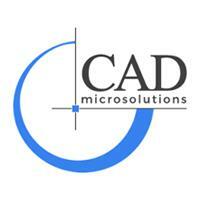 SOLIDWORKS Certification allows you to measure your knowledge and competency with SOLIDWORKS software. A Certified SOLIDWORKS Professional (CSWP) is an individual who has successfully passed SOLIDWORKS’ advanced skills examination, in which a candidate proves his or her ability to design and analyze parametric parts and moveable assemblies using a variety of complex features using SOLIDWORKS software. Being SOLIDWORKS certified allows you to stand out from the crowd in today’s competitive job market, to advance in your current position, and to distinguish yourself as a qualified and advanced SOLIDWORKS user. “The CSWP is important because it forces people to learn effective and efficient modeling techniques in order to successfully complete the exam. It also provides good feedback allowing people to gauge areas where they may want to improve their SOLIDWORKS knowledge in order to ensure they are working at maximum productivity.” - Jonathan Culm, CSWE “For me, the CSWP or any of the other SOLIDWORKS certifications is really a matter of proficiency. I come from an Air-Cadet military background, and I was always filled with such pride when I finished a certification and received a badge to sew onto my uniform. It was then very transparent what expertise I had gained and often I became the ‘go to’ person for specific topics. Similarly the CSWP proves my qualifications when looking for jobs, or for career advancement. But most of all, the certification process allows me to see how my skills have increased, and how my ability to design in SOLIDWORKS has become much more seamless.” - Desiree Villeneuve, CSWE Click here to learn more about the different SOLIDWORKS Certifications and to find out how to take the exams If you are a current SOLIDWORKS Subscription Customer, you can access credits to take the exams for free! For detailed step-by-step instructions on how to access your free credits, check out our blog: Certified SOLIDWORKS Professional Free Exam Code. How to prepare for your CSWP exam? To better understand what knowledge is required to pass the exam, check out our Certified SOLIDWORKS Professional Exam blog. You can also view the scheduled courses on our training calendar and even sign up for any upcoming courses from this location.